This cocky drug dealer who smirked on his mugshot believing police would free him had the smile wiped off his face – after being jailed for more than 11 years. Kamran Rashid ran the £150,000 “P Line” network which supplied heroin and crack cocaine to around 50 users a day. Rashid, 30, recruited drugs runners to carry out the orders and used hire cars to ferry the drugs between Birmingham and Hereford. A court heard he supplied narcotics valued at around £150,000 between July 2017 and February this year. When he was first arrested he cheekily smiled for his police mugshot believing detectives did not have enough evidence against him. But he was proved wrong when they charged him with supplying Class A drugs and he eventually admitted his crimes. Rashid, of Aston, Birmingham, was jailed for 11-and-a-half-years at Worcester Crown Court on December 5. His accomplices, Talat Mahmood, 40 and Lisa Fayers, 41, were also jailed four years ten months and three years nine months respectively. Another woman, Hayley Williams, 46, was handed a two-year suspended prison sentence and a drug rehabilitation order for playing a lesser role in the supply chain. Rashid was initially arrested by police on August 31 in Grandstand Road, Hereford. No drugs were found in his car but £1,500 in cash and a phone used to run the P Line was seized. In his police mugshot he can be seen smiling because he did not think police had enough evidence to convict him. He was bailed to give detectives time to gather further evidence. Just eight hours after his release, Rashid sent a message out to ‘P Line’ clients telling them “brand new phone, old number gone, pls don’t text it police have it”. In a bid to distance himself from the supply chain he recruited Mahmood and Fayers to carry out the cross-border drug runs on his behalf. However, Rashid retained control of the main dealer phone and acted as a ‘switchboard’ directing Mahmood and Fayers to people who ordered drugs. Mahmood and Fayers were stopped by police on October 5 in a vehicle on Belmont Road, Hereford, in possession of £1,300 in cash and a phone which was had been in contact with Rashid. A West Midlands Police spokesperson said: “This is smirking Kamran Rashid posing for his police pic after being arrested for drug dealing. “We never found him in possession of drugs. “He thought we didn’t have enough evidence. 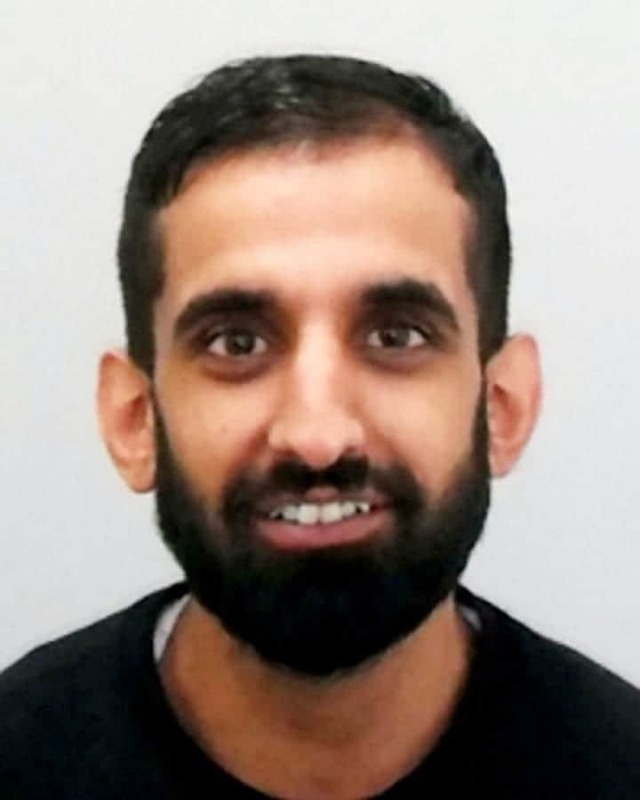 Detective Inspector Julie Woods said: “It’s clear Rashid was making large sums of money from the P Line – when he was arrested we found a new pair of Guiseppe trainers in the boot together with a receipt showing he’d paid £520 in cash. “And we found he’d paid £3,300 on hire cars to deliver the drugs. “Our evidence also showed that he used threats to intimidate the others who were doing the drug running on his behalf.